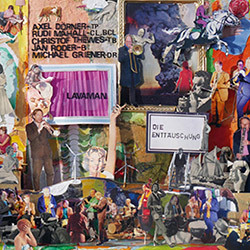 The remarkable European Free Jazz quintet Die Enttauschung, crossing bop forms with modern creative approaches to jazz for over 20 years, takes a new drummer--Michael Griener--and adds trombonist Christof Thewes, to join Rudi Mahall on clarinets, Axel Dorner on trumpet, and Jan Roder on bass, for an exciting and upbeat album of succinct tunes that both revere and abuse jazz history in wonderful ways. 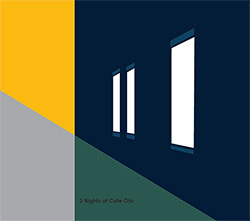 Presenting 3 CDs, a DVD, and a solid 80-page book of images and text, capturing 3 nights at Cafe Oto from the trio of Evan Parker (tenor sax), John Edwards (double bass), and Eddie Prevost (drums), joined one night by Alexander v. Schlippenbach, and another night by Christof Thewes. 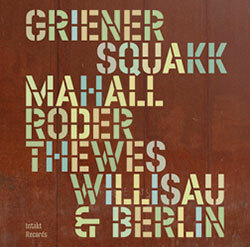 Berlin's Squakk is the quartet of Michael Griener (drums), Rudi Mahall (bass clarinet, clarinet, baritone sax), Jan Roder (double bass), and Christof Thewes (trombone), performing free-bop that draws on jazz history transformed into the modern improvised language. 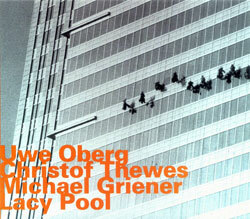 Inspired, expressive, and curiously logical trio playing performing 10 of the late soprano saxophonist Steve Lacy's compositions live in Koln, Germany, 2006.